What to Cook and How to Cook It is the ultimate cookbook for beginners. It takes 100 easy and delicious recipes back to basics, with clear colour photographs to accompany the ingredients list and every method step, and carefully explained recipes that absolutely anyone can follow. There are popular, accessible and tasty recipes for every occasion, from breakfast muffins to omelettes to tasty roast chicken and classic lemon tart. The clear cooking instructions and tips on what to buy will guide the reader all the way from the supermarket to the dining table. 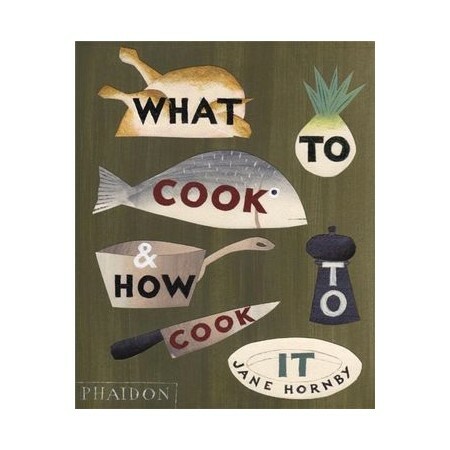 Jane Hornby is an experienced food writer and cook. After training as a chef, she worked as Cookery Writer and Food Editor on the BBC's bestselling Good Food magazine for five years. The magazine is renowned for its clear, step-by-step style and for its totally foolproof recipes which are tested many times. She has also edited several of the BBC Good Food's bestselling 101 recipe books.